It’s not your fight, but it does affect your work and your school. When teachers go on strike, principals are left in the building and in the lurch. 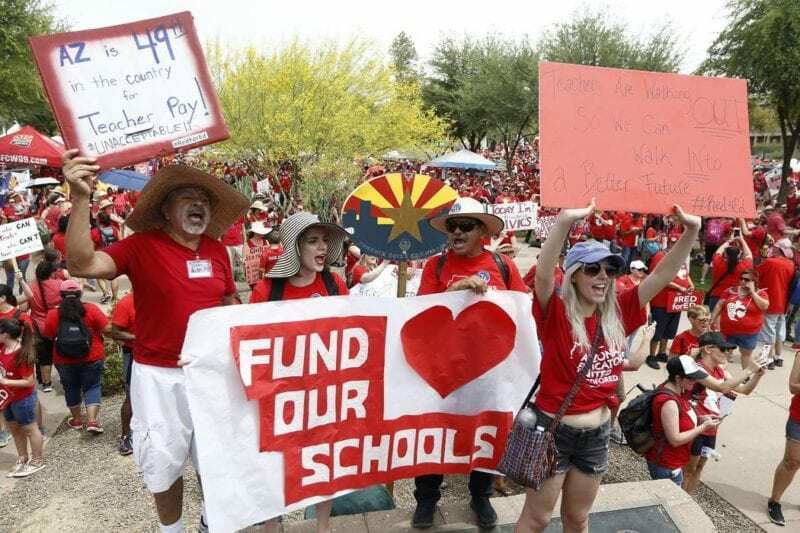 You’re caught in the middle—you want to support your teachers, but you work for the district. So, how can you walk the line and support teachers without taking sides? 1. Make your role clear. Teachers may not know the role you have to play during a strike. Yes, you’re part of “management,” but you can agree with the teachers’ position and avoid being “the man.” Communicate that you support your staff, encourage their civic duty, and let them know you’ll hold down the fort while they’re gone, whether that’s keeping the school communication tree up to date with information or managing a new staff of subs. If your teachers go on strike, you may be in charge of a classroom or a cafeteria full of students. When teachers are on strike, they worry their students, who still have to come to school. The good news is that teacher strikes don’t come out of nowhere. As a strike approaches, prepare plans (worksheets, online assignments, thoughtfully curated movies) to help kids keep on learning while your teachers are out. And be sure to let teachers know that their students will miss them and that some learning (or at least practice) will still be happening. 3. Encourage teacher leaders to join the picket line. If you have teachers who are aspiring leaders, they may feel caught in the middle between wanting to strike and feeling like they need to maintain good relationships with school leadership. Let them take a side while you take the role of “management” during the strike. You’re letting them participate in an important advocacy activity, modeling how to be an effective leader during stressful times. Turn your alarm clock back an hour and arrive at school before picket lines form so you don’t have to cross them. When you avoid crossing the picket line, you can stay as neutral as possible and avoid the possibility of confrontations with teachers who may feel the need to call out your stepping through their line. 5. Maintain the communication channels. Keep information on the school website and social media channels up to date for teachers and families. This will help families know what to expect and alleviate some of the burden on teachers. 6. Don’t fall into using old tropes. 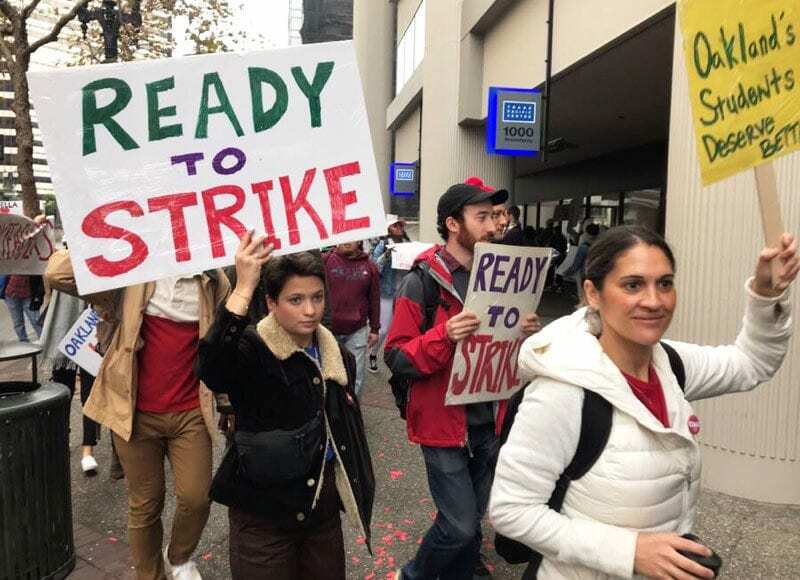 Your teachers are striking for a reason—higher pay, smaller class sizes, etc.—that will likely make your work easier as well. When you talk to your teachers, avoid old stereotypes about teaching, like “we’re here for the kids” or “we wouldn’t teach if we didn’t love it.” That can be condescending and doesn’t communicate the importance of how your teachers feel. Instead, acknowledge the complex work that teachers do every day and agree that you think they deserve more. After the strike ends and the dust settles, your relationships with teachers will remain. Once the dust settles, you have the opportunity to establish and expand your positive school culture. So, welcome teachers back to the building with smiles and handshakes. Treat it like the first day of school, because in a way it is. How have you supported teachers during a strike? Have you been a teacher on strike and (not) felt supported by your principal? Share your tips in the Principal Life Facebook group.